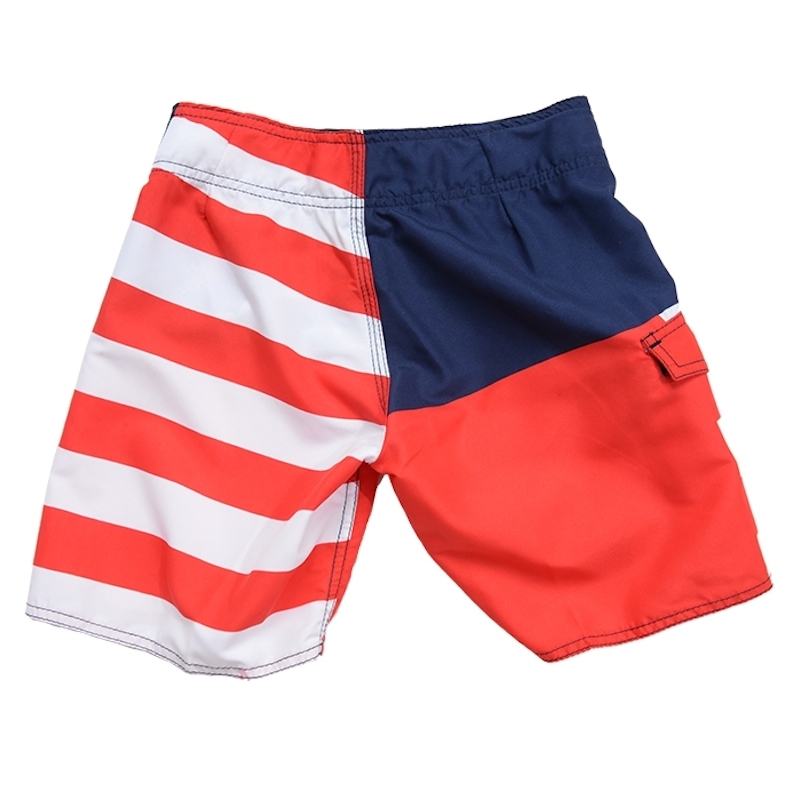 Let your true colors fly with these summer centric boys's board shorts. 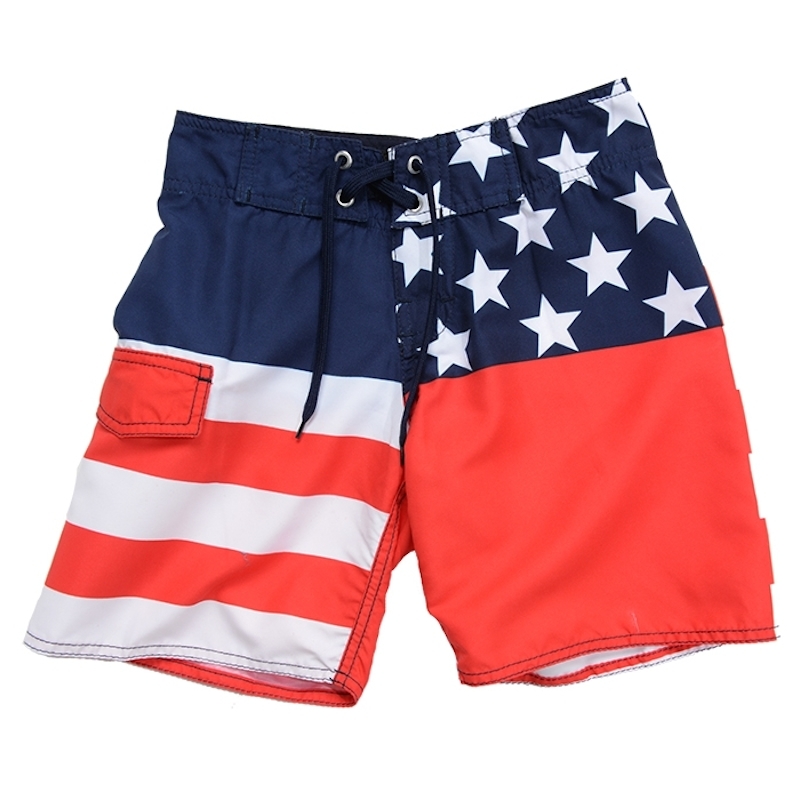 The Old Glory Board Shorts by Azul Swimwear feature a sublimated American flag print on the buttersuede body. These trendy trunks add on attributes like a contrast waist, scallop knees, and a side pocket to add style.